Radon gas decays into radioactive particles that can get trapped in your lungs when you breathe. As they break down further, these particles release small bursts of energy. This can damage lung tissue and lead to lung cancer over the course of your lifetime. Not everyone exposed to elevated radon levels will develop lung cancer. And the amount of time between exposure and the onset of the disease may be many years. 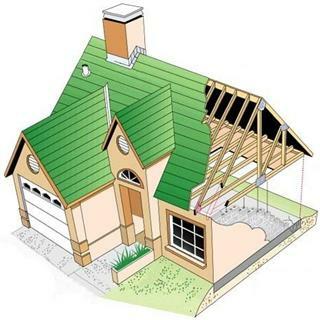 Like other environmental pollutants, there is some uncertainty about the magnitude of the health hazards of radon. However, we know more about the radon risk than those of most other cancer-causing substances. This is because estimates of radon dangers are based upon past studies of cancer in humans (underground miners). Additional studies on more typical populations are under way. Smoking combined with radon is an especially serious health risk. Stop smoking and lower radon levels to reduce your lung cancer risk. Children have been reported to be at greater risk than adults for certain types of cancer from radiation, but currently there is no conclusive data on whether children are at greater risk from radon than adults. Compared to radon entering the home through soil, radon entering the home through water will in most cases be a small source of risk. 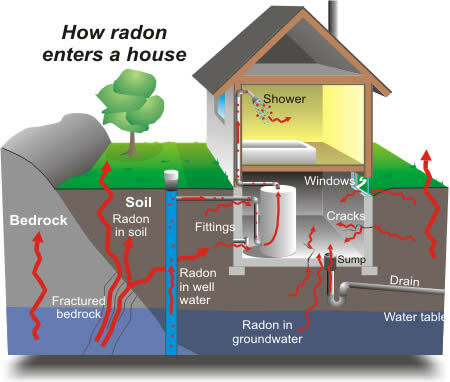 Radon gas can enter the home through well water. It can be released into the air you breathe when water is used for showering and other household uses. Research suggests that swallowing water with high radon levels may pose risks too, although risks from swallowing water containing radon are believed to be much lower than those from breathing air containing radon. Conducting radon water testing is the only way you will know if you're at risk. While radon in water is not a problem in homes served by most public water supplies, it has been found in well water. If you've tested the air in your home and found a radon problem, and your water comes from a well, you should perform a radon water test. Radon test kits are inexpensive and easy to use. If you're on a public water supply and are concerned that radon may be entering your home through the water, contact your municipal water department.